Using a developmental approach this course will give the behavioral/developmental optometrist the opportunity to learn the appropriate history gathering, assessment and treatment of children and adults with multiple issues. 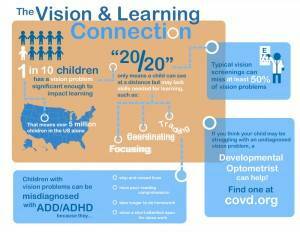 By using a developmental approach the behavioral/developmental optometrist is able to adapt many of the forms, techniques and treatment approaches that may be familiar to him/her. Through the use of photos, DVDs of patient assessment and treatment with actual patients from our offices the practitioner will realize the joys and success in working in this population. Many will see that a greater knowledge of these approaches will inform and improve every day practice. Equipment, necessary forms adapted and treatment approaches will be given to the practitioner such that the doctor will be ready to begin to approach this population with the expertise required. Effective history gathering for complex children with multiple issues. Examination techniques which allow you to gather the necessary information to make informed decisions for treatment. All aspect of the usual examination is explored. 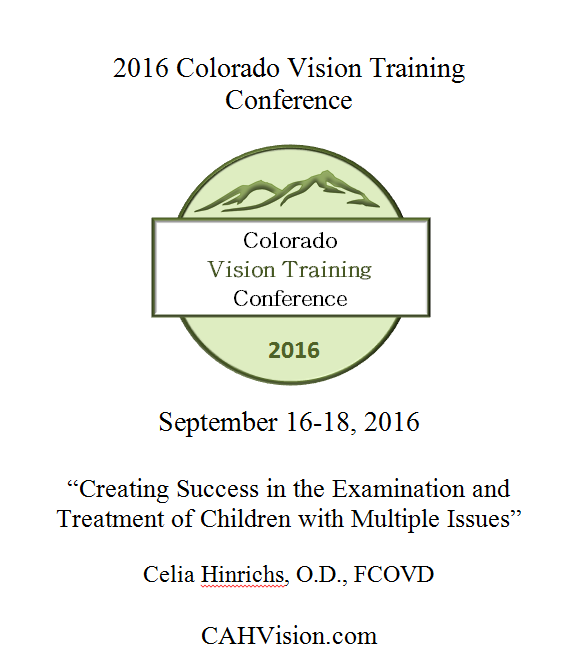 Success and Fun in Strabismus Management in children with multiple issues. Using a developmental approach this course will give the behavioral/developmental optometrist the opportunity to learn the appropriate history gathering, assessment and treatment of patients with strabismus. 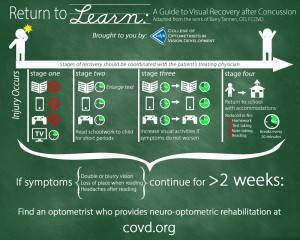 By using a developmental approach the behavioral/developmental optometrist is able to adapt many of the forms, techniques and treatment approaches that may be familiar to him/her. 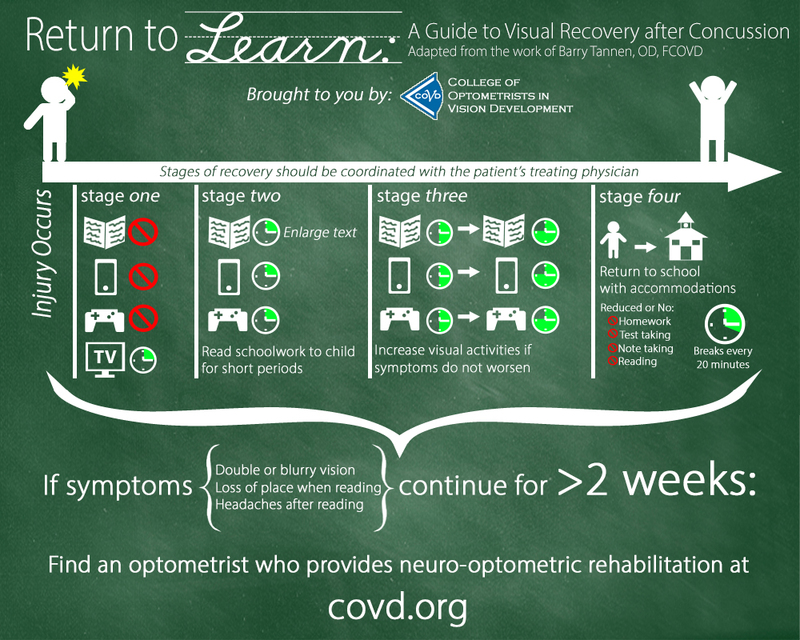 Special examination techniques are given to evaluate and treat these patients with conditions such as amblyopia, eccentric fixation, correspondence issues and constant strabismus. Many will see that a greater knowledge of these approaches will inform and improve every day practice. Equipment, necessary forms adapted and treatment approaches will be given to the practitioner such that the doctor will be ready to begin to approach this population with the expertise required. Review of types and characteristics of strabismus including infantile esotropia and paretic strabismus. Examination techniques which allow you to gather the necessary information to make informed decisions for treatment. Better understanding of concomitancy and appropriate testing. 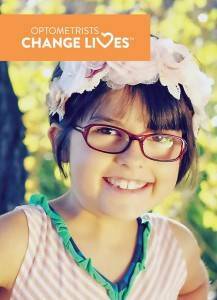 Effective optometric vision therapy in constant strabismus population.